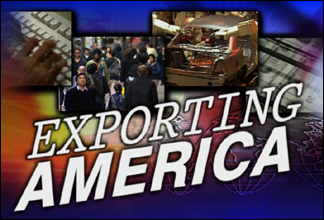 Here is a list of companies CNN'S Lou Dobbs Tonight program has confirmed are "Exporting America." These are U.S. companies either sending American jobs overseas, or choosing to employ cheap overseas labor, instead of American workers. Many are upset that Bush has opened up so much free trade yet done so little to help protect the American workers. Is Free Trade really good for America, most are starting to think not. We must strive to protect American jobs.